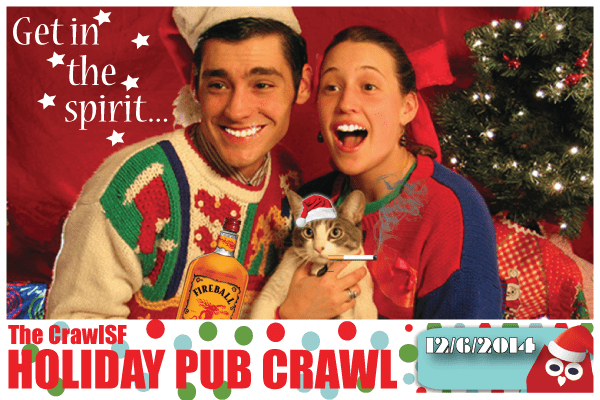 The Crawlsf 2014 Pub Crawl Season is almost over, but we still have 2 great Holiday Pub Crawls coming up! 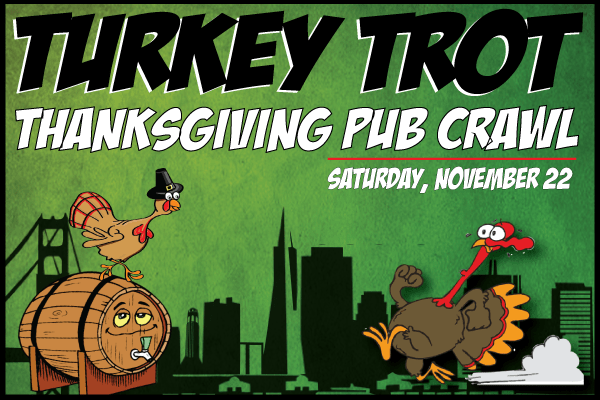 Join us in the Marina for a great pre-thanksgiving pub crawl in the Marina complete with all the trimmings (and by trimmings, we mean beer, cocktails and shots). The party will start out at The Shop (1980 Union Street) at 4PM and continue down Union Street to all of you favorite watering holes like Bar None, Blue Light and The Bus Stop. There will be plenty of $3 drink specials to go around. Feel free to throw on some thanksgiving related costumes (Indians, Pilgrims, turkeys, etc.) or just wear jeans and a t-shirt…we won’t judge. The Holidays bring Ugly Christmas Sweater Parties, The Elf Party and Santacon. Feel free to combine them all into the best holiday pub crawl in san francisco. More details coming soon.